We don’t want to spoil it for you so just watch the trailer and then we will talk about it. There, now we feel comfortable giving our two cents. Personally we love it and can’t wait to watch it. They are such an odd assembly of characters that we can’t wait to see how they all fit together. We REALLY can’t wait to learn more about WHITE Canary as it looks as if she was revived in Ra’s al Ghul’s healing waters. What is the story with Hawkgirl and how the heck do Captain Cold and Heat Wave (I really don’t like those names) fit in? The immortal Vandal Savage is their nemesis?! 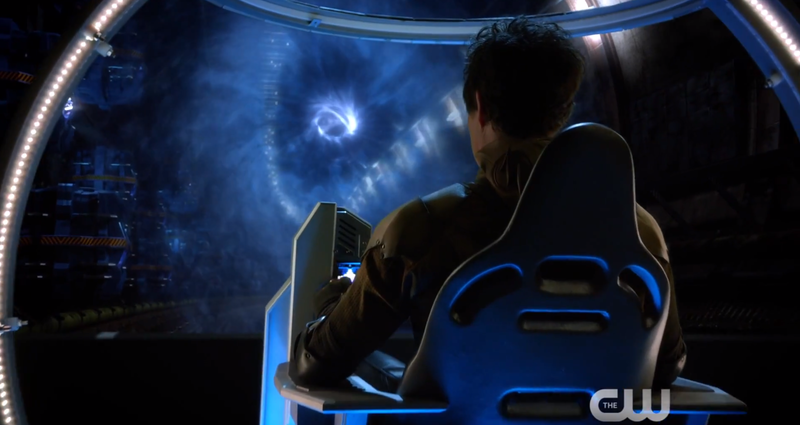 Here is the synopsis from the CW: When heroes alone are not enough… the world needs legends. Having seen the future, one he will desperately try to prevent from happening, time-traveling rogue Rip Hunter is tasked with assembling a disparate group of both heroes and villains to confront an unstoppable threat — one in which not only is the planet at stake, but all of time itself. Can this ragtag team defeat an immortal threat unlike anything they have ever known? 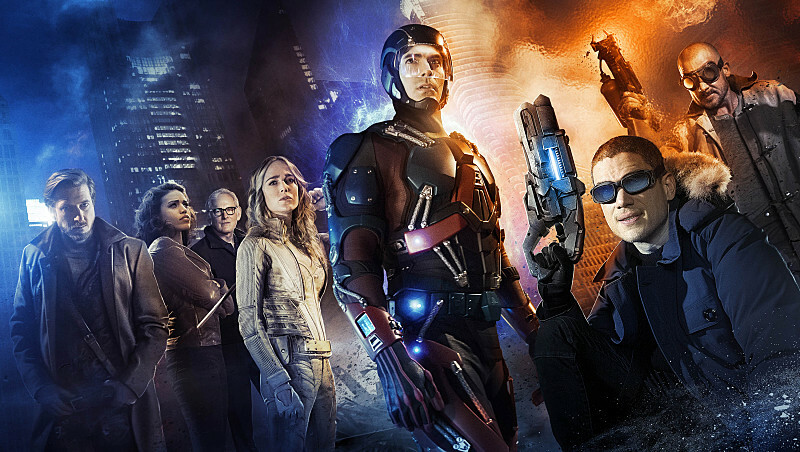 DC’S LEGENDS OF TOMORROW stars Victor Garber (“The Flash,” “Alias”); Brandon Routh (“Arrow,” “Superman Returns”); Arthur Darvill (“Doctor Who”); Caity Lotz (“Arrow”); Ciarra Renee (“Pippin”); Franz Drameh (“Edge of Tomorrow”); with Dominic Purcell (“The Flash,” “Prison Break”); and Wentworth Miller (“The Flash,” “Prison Break”). 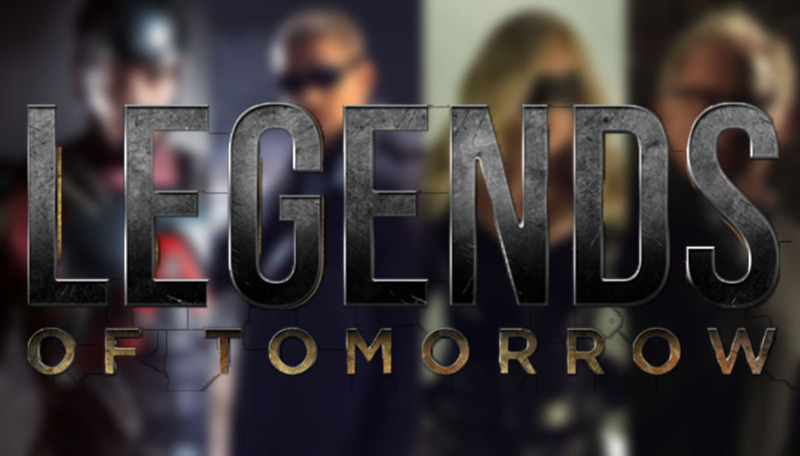 Based on the characters from DC Comics, DC’S LEGENDS OF TOMORROW is from Bonanza Productions Inc. in association with Berlanti Productions and Warner Bros. Television, with executive producers Greg Berlanti (“Arrow,” “The Flash,” upcoming “Pan”), Marc Guggenheim (“Arrow,” “Eli Stone,” “Percy Jackson: Sea of Monsters”), Andrew Kreisberg (“Arrow,” “The Flash,” “Eli Stone,” “Warehouse 13”) and Sarah Schechter (“Arrow,” “The Flash,” upcoming “Pan”). Let us know what you think down in the comments below. We are already making sure that our DVR has room for this one. This entry was posted in Comic Books, DC, Trailers, TV and tagged Atom, Captain Cold, CW, DC Comics, DC's Legends of Tomorrow, Firestorm, Hawkgirl, Heat Wave, Rip Hunter, Superheroes, teaser, White Canary. Bookmark the permalink.